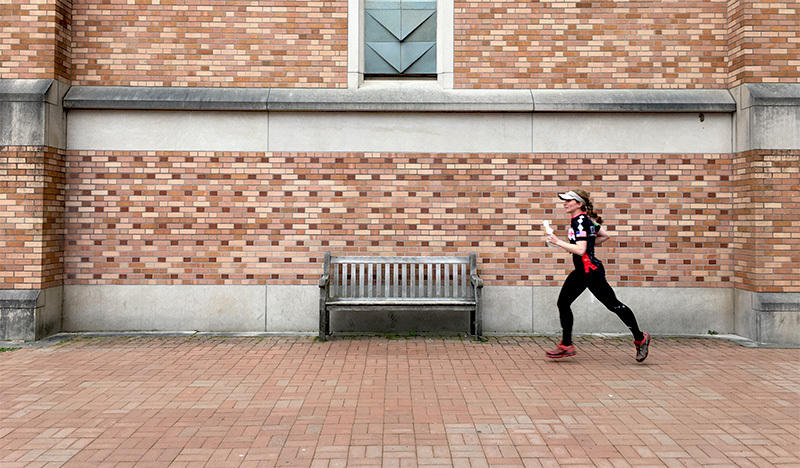 Sprint Rules are in effect for this Saturday’s race the University of Washington. Most importantly this means high walls and fences are illegal to cross, even if you are physically able to cross them. This is an international rule, and is in place to ensure a fair and safe race course. Also please remember you can not go through flower beds or planted areas marked in olive green on the map. Runners will be disqualified for violating the sprint rules. The University of Washington is a relatively quiet urban orienteering venue with minimal traffic. However cars are common on Stevens Way and some of the larger streets, so please use caution whenever crossing roads capable of car traffic. Due to its urban nature this location has been mapped using the ISSOM standard. 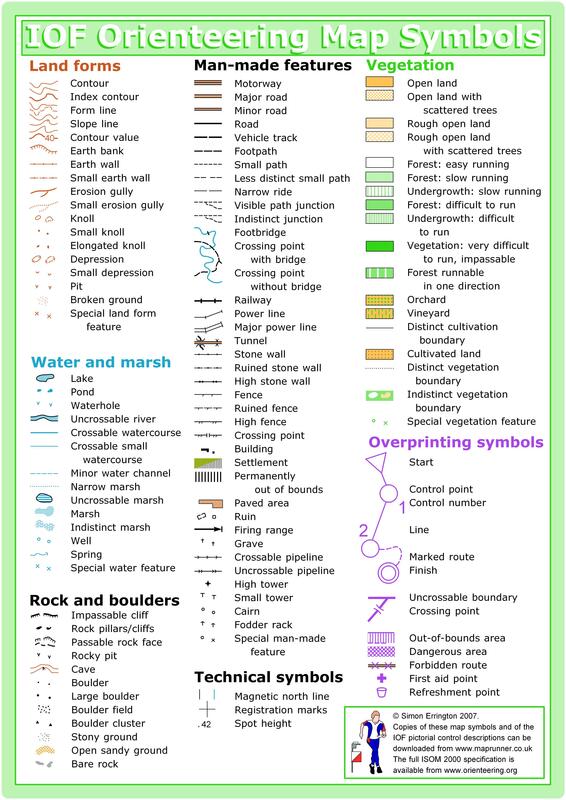 If you have not previously orienteered on a sprint standard urban map it is recommended to review the standard, especially the difference between crossable and uncrossable features, along with the different symbols used for out of bounds areas. There are also many controls in a reasonably small area, so remember to check control codes. Also, due to the urban nature of the venue, changes are constantly occurring and are sometimes drastic. Currently the map is in very good shape, however changes may occur between now and the meet next weekend. The terrain on the campus is fairly flat with a shallow slope uphill from the south to the north. The east side of campus drops steeply to Montlake Boulevard. The primary feature on the campus is buildings. LOTS of buildings. To be successful orienteering on the campus, the orienteer will need to be able to recognize the shapes of the buildings on the ground and match them to the map. There are hundreds of paved paths going in every direction. The advanced courses take advantage of the multiple levels of stairways and concourses around the buildings. The control feature described as “stone wall,” is used on these courses to designate anything that is similar to a stone wall including concrete retaining walls, large concrete benches, and similar features. There aren’t actually on stone walls used as features on the courses! Keep in mind that the gray areas around the buildings designate building overhangs. These areas are open for orienteers to use as pass throughs, shortcuts, or just to stay out of the rain! The JV, Varsity, and Short and Long Advanced courses offer a mix of leg lengths. Long legs, filled with complex route choices will keep you on your toes. Then, you’ll be challenged with the quick thinking of some shorter legs, also with an array of route choices. We’ve had fun making challenging courses for you to run this weekend! As always, remember to download! Students with a season pass, use the button above to RSVP for this meet by Tuesday December 11 at Noon. Online pre-registration closes Thursday December 13 at 9pm. Day-of-event registration is by cash or check only. ***Overflow parking is available in E-1 parking lot. Please park in either the Padelford Parking Garage or Parking Lot E1. The Padelford Garage is closer to the event center and costs $3 per hour until noon after which parking is free. Parking in E1 costs $10 for the day. Overheight vehicles should park in Parking Area N21 just to the southwest of Padelford Garage. After parking please go up the stairs or escalator located in the center of the Padelford Garage. Once you leave the Padelford garage cross Stevens Way and pass between the Communications Building and Clark Hall to get to the event center. University of Washington has a LOT of buildings–some arranged north/south, some at a 45-degree angle, some at no particular angle, and most along two curving roads, criss-crossed with acres of angled paths, sidewalks, and individually-mapped trees. Now run it, while keeping all the angles, buildings and roads straight in your route planning! Warm up with a Micro O’ course! As a training exercise or a short physical and mental warm up, two short Micro O’ will be set up near Registration. This will be a self-service activity and you will need to print your own maps [2018-12-15-UW-Micro-1+2] and description sheets [2018-12-15-UW-Micro-descriptions]. There is also a brief write up on how to use Micro O’ to practice “flow” [Micro-O-How-To 20180214]. The courses were not field checked so there might be minor discrepancies. Be very careful around moving people and vehicles! If you have questions (or suggestions), please see Mike Schuh – he’ll be working the first shift of Beginner Instruction somewhere near Registration. Descriptions are offered in two different forms, one copy of each course on a single page or two pages, each filled with descriptions for one course. Which do you prefer? Please let Mike know. Thank you to Patrick for such a wonderful map! Thanks also to Cameron, Ing, Julia, and Michelle for their assistance publishing these Micro O’ courses.